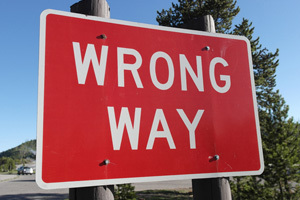 EASTCHESTER, NY – According to Lohud.com, a man from Yonkers was allegedly drunk when he caused a wrong-way collision on the Bronx River Parkway in Eastchester, New York. The driver, Joseph Ayala, 40, suffered injuries when he crashed head-on into another vehicle at about 11 in the evening. Ayala was traveling southbound in his 2015 Cadillac Escalade in the northbound lanes. Ayala struck a northbound 2010 Hyundai head-on close to Leewood Drive. There were six people in the Hyundai, and all of them declined any medical attention. Ayala was transported to the Westchester Medical Center. Reports did not include information about the nature or severity of Ayala’s injuries. Ayala had a blood alcohol level that was more than twice the legal limit. The police report that his BAC was .18 percent. The legal limit is .08 percent. Drunk driving rates in the United States have dropped significantly in the last few decades. Laws have become stricter, and public awareness and safety campaigns have somewhat successfully stigmatized the practice of drunk driving. While there are fewer drunk people behind the wheel, there are still many crashes that are caused by drunk driving. Nearly 30 percent of all traffic-related fatalities are still the result of drunk drivers. Drugged driving has also increased and created complicated issues for police officers. While laws regarding driving while intoxicated are clear and the test are reliable, the way in which drugs impact a person and how long they stay in a person’s system differs depending on many different factors. Have you or your loved one suffered an injury as a result of a traffic accident?